While knee replacement surgery can offer relief for those who suffer from pain and limited mobility, in recent years, there have been many reports of failure associated with these implants and serious injuries have resulted, including patients in Nebraska. In some cases, patients sustain an increase in pain and restrictions that exceeds what they had before the implant. Artificial joints are generally expected to last a minimum of 15 years, but some fail much sooner. Patients are currently experiencing severe side effects from the DePuy Synthes Attune Knee Replacement system, including premature failure, sometimes only a year or two after implant. Despite the fact there is no active recall on the DePuy Attune knee system, INSERRA l KELLEY l SEWELL is active investigating Attune knee failures and complications. Many patients also report a loss or lack of bonding of the knee component to the bone after the failure, which frequently leads to additional surgical procedures. Instability in the knee when standing or when weight is put upon it. The knee moves backwards or sideways. Fluid build-up leading to inflammation and swelling. Warmth or heat in the knee that returns months after surgery. 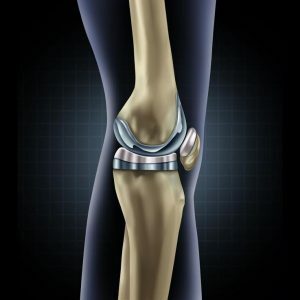 There are approximately 600,000 total knee replacement surgeries performed annually in the U.S., and experts predict that primary knee replacement will increase to 3.48 million each year by 2030. It is very common for patients to be misdiagnosed and not evaluated for the loosening between the tibial tray and the cement mantle that is intended to bond between the metal prosthetic and the bone. Upon x-ray, many of the patients are not diagnosed because of the “piston effect;” essentially the movement of the device in and out of its bonded position during ambulation, but in proper position during x-ray where it is difficult or impossible to see the lack of bond between the component and the bone cement. Upon proper diagnosis and removal, physicians are surprised to find lack of adherence of cement or bone fixed to the device. In fact, surgeons have described seeing the metal tibial insert clean from any bond—essentially looking the same as it did when it was removed from the sterile packaging and implanted. Why is this happening? Time will tell to determine the root cause. If you have suffered complications from your DePuy Synthes Attune Knee Replacement system, please call us. Please tell us your experience, if for no other purpose to help us investigate and understand for the patients we represent. We are available to answer your questions and provide you with more information about your Attune Knee Device.